Mmmmm, potatoes. Fresh Michigan reds to be exact and in one of my favorite ways of making them. I can easily make a meal of them instead of several servings of a side dish. 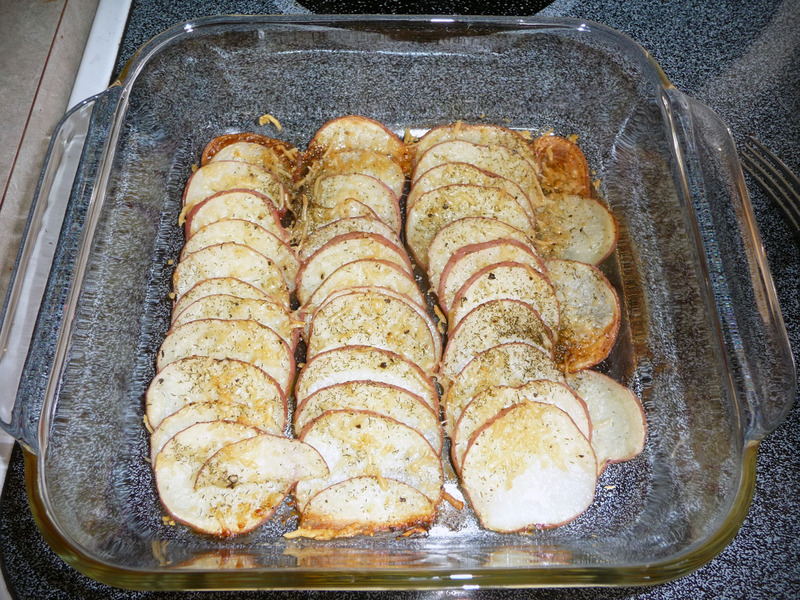 Of course, if you really want to make it more of a meal, switch out some of the potato for sliced zucchini for an alternate yet still tasty option. 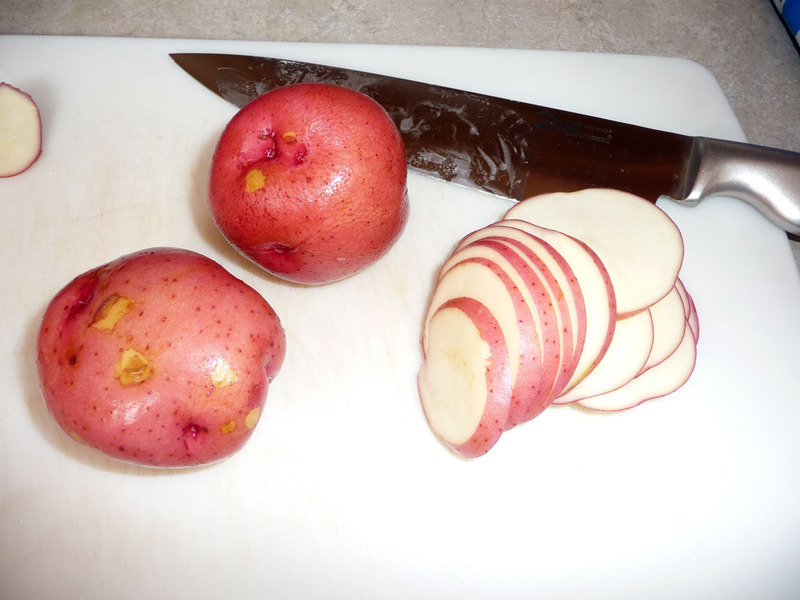 Thinly slice 3 red potatoes. Arrange layered in an 8×8 glass dish. Drizzle melted butter over and season with salt, dill and Parmesan. 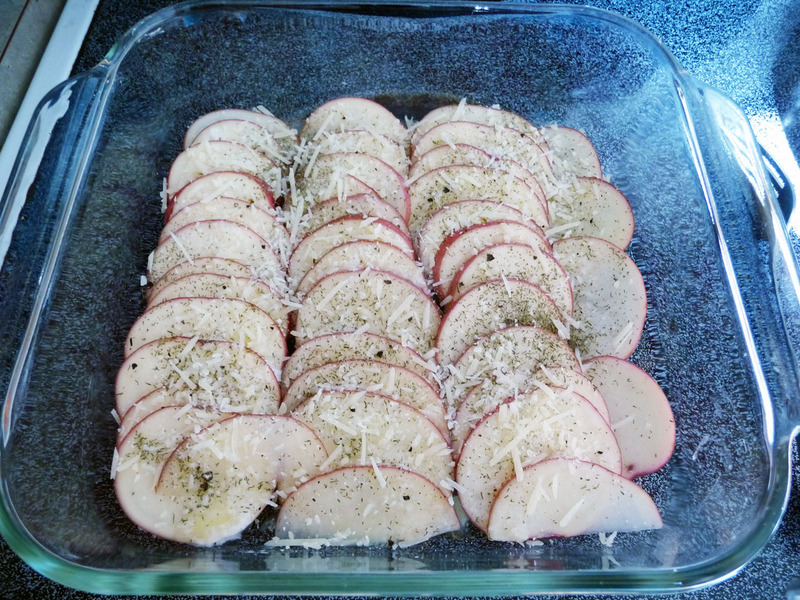 Bake at 350 for 25 minutes or until browned. Previous lia sophia NEXT: A New Year, A New Look Next 5 Things I Love – July 11 + a lia sophia Giveaway!